Hi Stampers, today days share are these cute little bags made with the Stampin Up mini treat bag thinlits. Each month at my card classes I make a little gifts for my customers as a thank you. This spring I made these little cuties for them. I used the Sale- A- Bration paper for mine but these bags would be darling in any paper you choose. Fill them with goodies and you have a fast, fun gift to give for so many occasions. I made my famous chocolate chip cookies for mine, what would you fill yours with? Just by changing up the paper and embellishments will give your baags a different look. I had so much making all of these for my customers using the beautiful paper from Stampin Up. I love the way Stampin Up DSP has two beautiful sides to each paper, it makes coordinating so fast, easy and beautiful. Do you need supplies to make this project? If I can help you in any way or you need a demonstrator I would be happy to help you. Please contact me or you can shop with me in my online store my clicking the buttons at the top of this post. 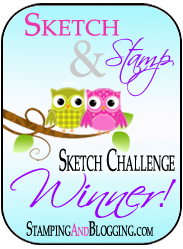 This entry was posted in Stampin Up Mini Treat Bag Framlits, Uncategorized.